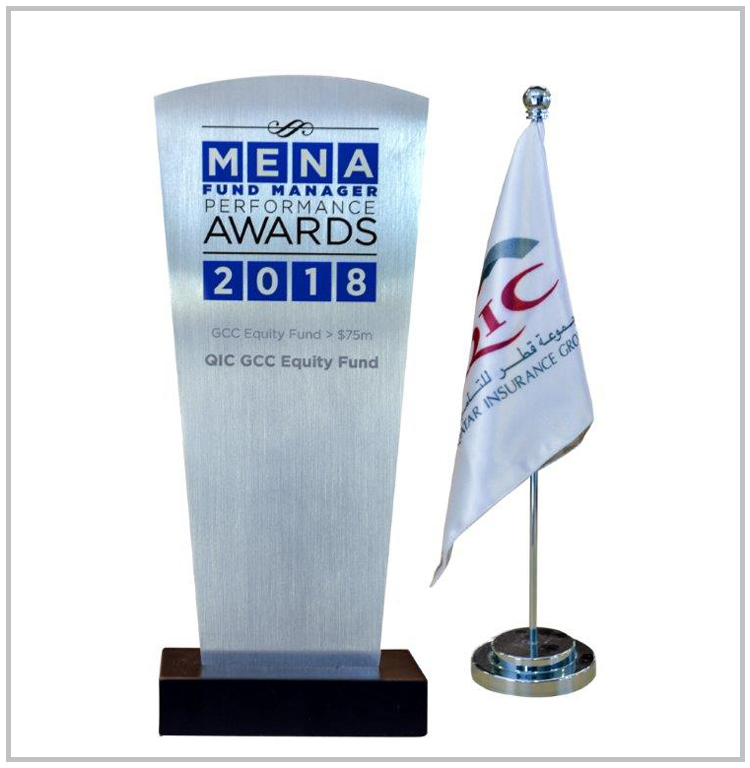 The QIC GCC Equity Fund won the award for the best GCC fund performance in 2017 for a GCC fund with over $75m in assets at the annual MENA Fund Manager Award ceremony in Dubai. The Fund posted a return of 7.5% in USD terms versus its benchmark performance of 3.3% and topped its category’s peer group for the year. The prestigious annual awards are organised by the MENA Fund Manager magazine and over fifty different funds entered the various competition categories.